One thing that never ceases to amaze me is the number of ecommerce sites that invest large sums of money into driving traffic to their site and improving conversions, only to leave it there. They believe that the point of fulfilling an order is the end of the marketing process, without giving a thought to post sale marketing. It will come as no surprise that these sites tend to have poor repeat order rates, and customer retention is very low. If you have already sold to customer and delivered on your promise, you have already done the hard part. The opportunity is there to build on the relationship with the customer and turn them into a loyal customer re-ordering time after time. Here are my 4 easy steps on how to make sure those customers keep coming back. Encouraging customers to leave feedback can give a really valuable insight to the customer journey and experience of a brand and or product. Third party review sites such as review centre offer an offsite centralised resource point, whilst plug ins to ecommerce platforms allow customers to leave onsite reviews of products. Listening to what customers are saying means that the customer experience can continually be improved which in turn will increase the customer retention. Receiving great reviews will also help with conversions; recommendations are one of the highest conversion factors! Give customers a reason to come back. By rewarding customers for their continued loyalty they will feel that their custom is appreciated and we all love a bargain. Automated emails can be used to send exclusive offers to existing customers. 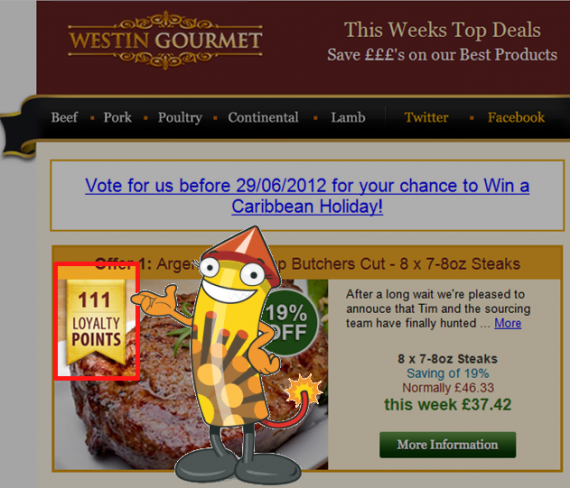 Online gourmet butchers Westin Gourmet incentivise customers to reorder by offering loyalty points that can be used to buy even more tasty treats. Use the relationship that you have already built with the customer as a platform for incentivising referrals. Something like “Refer a friend and both get 10% off!” could end up generating TWO extra orders. 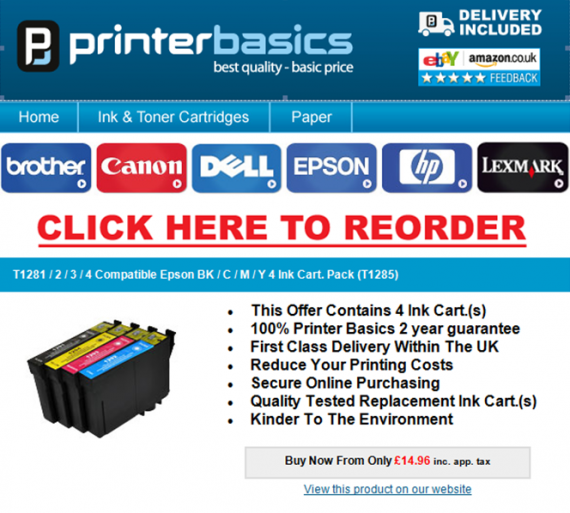 Offers like this can also be sent out as marketing material with orders. One idea would be to have some discount vouchers designed and sent out with the dispatch note included in the order. Once you have sold to a customer it is important not to let them forget about you. We live in the age of social media so encourage customers to engage with you on your social media platforms. Any marketing material you send out (emails, delivery notes, invoices, flyers) should be promoting your social media pages. For most this will be Facebook. Again, incentivise this interaction. “Like us on Facebook to receive exclusive offers”. Engaging with your customers will make sure the relationship doesn’t fizzle out and ensure that you are a brand they would order from again. If you are offering a consumable product where customers may order the same item time and time again, make it as easy as possible for them to re-order. If you know that the item is likely to need replacing after a period of time, then pre-empt that by sending the customer a re-order reminder a couple of weeks before! Printer Basics do this brilliantly. This email landed in my inbox last week. It prompted me to check ink levels; sure enough we were getting low. Guess where I ordered from!!!! To conclude…It is really important for us to consider the life time of a customer. Why invest all that money into generating sales only to let these customers drift away? Post sales marketing should feature as prominently as other marketing activities in your online marketing campaign. After all it is much easier to retain a customer than it is to get a new one.